One month ago, I was given the opportunity to visit the factory of Robinson helicopters in Torrance, Los Angeles. It is actually quite simple to get, you should just try to register by sending an-e-mail as described on this page. You will see the production lines and the flight test preparation, but nothing of the offices. Once there, you see the final assembly line and all the different section for the manufacturing of all parts of the helicopters. 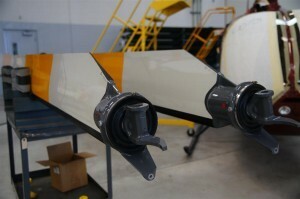 Most of the components are manufactured there, Plexiglas windshield as well as machined gear boxes. Main materials are fiber glass, stainless steel and aluminium. I did not really see much use of composite materials. 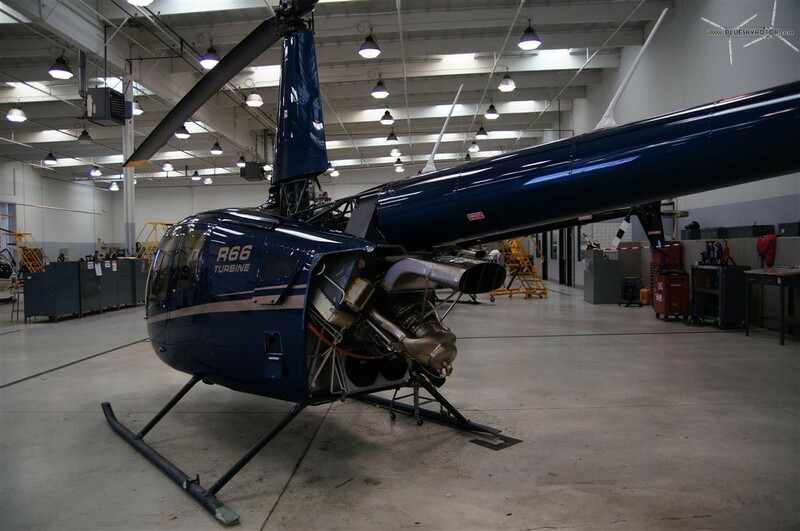 Robinson works very close to Garmin for the avionics equipment. They just finished to build a new hall, which almost doubled the surface available for the production lines. The result is nice and clean, not very noisy. 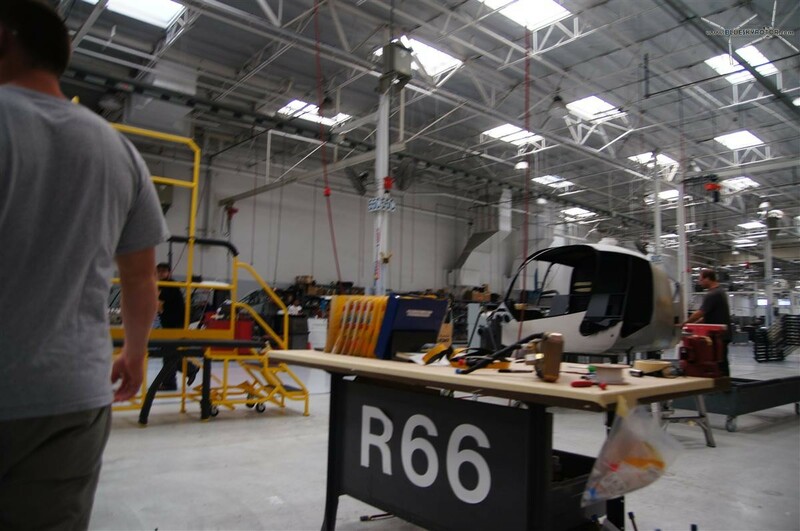 Around 800 people work for the company, which is able to manufacture one aircraft a day, making a fuselage with its electric harnesses within one week and making it ready to fly during the following week. Actually, five or six fuselage were ready for assembling and several dozens of rotor blade were stowed, waiting for their first flights. Also, overhaul operations can be made very quickly. Our guide talked about a customer who brought his machine for a simple repair, but he got angry when he saw, few hours later, his aircraft completely dismantled for a deep inspection. The visit finishes with the preparation of aircraft for test flights. Considering bigger companies, you miss prototype helicopters. 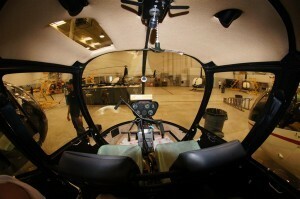 Robinson is very efficient in producing good affordable helicopters, but it does not make innovation its spearhead. The guys of Robinson are very fair and let us climb inside the helicopters. The R66 is a big R44, able to carry one more people with much more baggage. The most impressive during the visit was the capability of the company of a high production rate. The plant is very well organized and optimized. As an helicopter fan, my sole regret is that the company seems to put more innovation in its manufacturing tools than in the final helicopter.